Hoover makes a great portable canister vacuum for the cleaning professional on the go. At 8 pounds this little canister vac is easy to tote around to help with your cleaning of offices, homes, and even garages. You can even do some cleaning of heating ducts and vents with the extra dusting tool that's included. With 33 feet of power cord you can reach this Hoover PortaPower vacuum all over the house without unplugging. 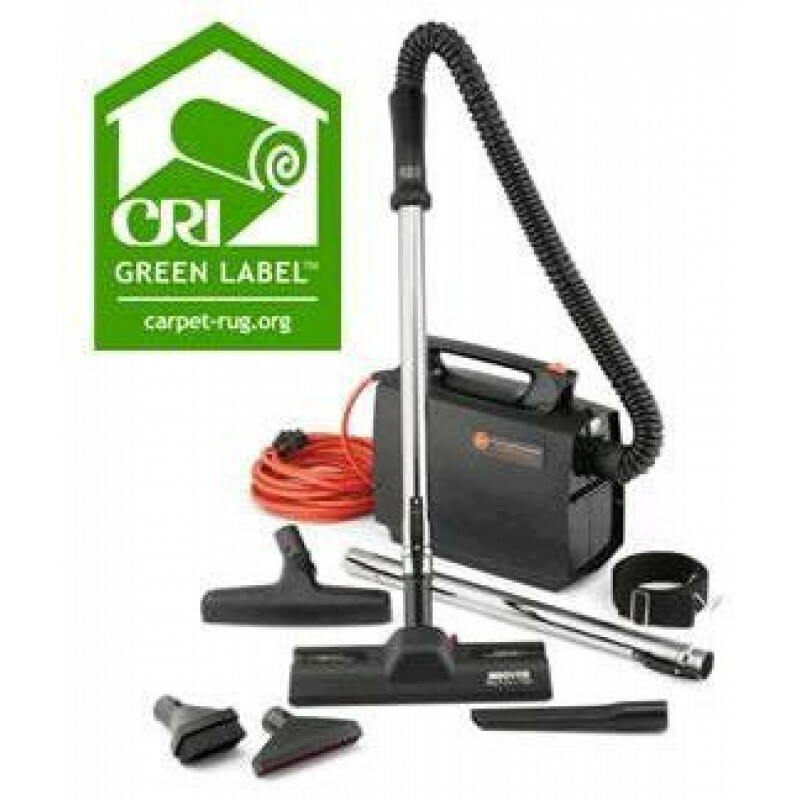 Make sure to take a look at our other great canister vacuum cleaners. Compact and easy to carry, weighing only 8 pounds. Converts easily to a blower to blow debris out away from confined areas. Reusable 3 layer commercial cloth bag with paper bag option. 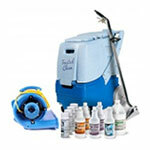 Easily cleans stairs, and other hard to reach areas, like heating vents and ducts. Long 33' SJT power cord enables you to clean large areas. Tool set includes 1 crevice tool, wall/floor brush, dusting brush, furniture nozzle, rug/floor nozzle, two chrome wands, storage strap, and shoulder strap. 120 Volt motor power vacuum for hours of continuous use. Comes with a 2 year commercial warranty.